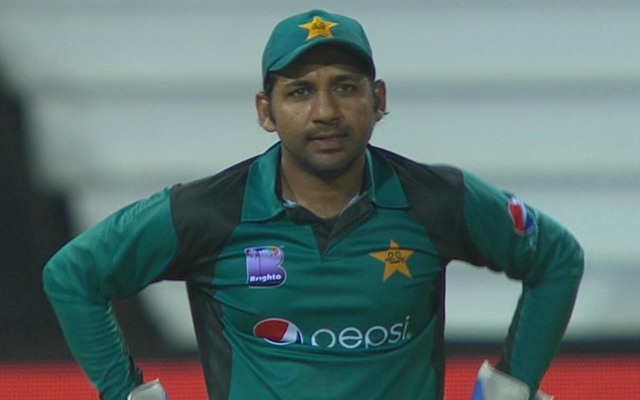 Another instance of racism came into the limelight in the second ODI between South Africa and Pakistan with Sarfaraz Ahmed under the spotlight. It was Andile Phehlukwayo who ended up being the difference between South Africa and Pakistan when they took each other on in the 2nd ODI. With his four-wicket haul and an unbeaten 69, he handed over his team a 5-wicket team. Hence the series is now levelled at 1-1 with three more games to go. Even though he contributed a great deal for his team, Phehlukwayo ended up frustrating the opposition skipper Sarfaraz Ahmed. Sarfaraz often gets very vocal from behind the stumps – sometimes cheering his bowlers and taking a dig at the opponents the other times. But, his latest comments on Andile Phehlukwayo might end up landing him in some serious trouble. The wicket-keeper was seen making racist comments on the all-rounder which are quite unacceptable. Mike Haysman, who was one of the commentators on-air even asked Rameez Raja to translate what the Pakistan skipper said. “What’s he saying there Ramiz?” he questioned. However, the former cricketer was smart enough to duck this difficult question. He had a laugh and replied that it was difficult to translate. He further justified by saying that it was a big, long sentence. Pakistan was bundled out for 203 runs in this match in the first innings. After being down to 112/8, good knocks from Sarfaraz and Hasan Ali helped their revival. South Africa, with an unbeaten 80 from Rassie van der Dussen and the heroics from Andile Phehlukwayo chased down the target in 42 overs with eight wickets to spare.